Penelope 2's Story . . . 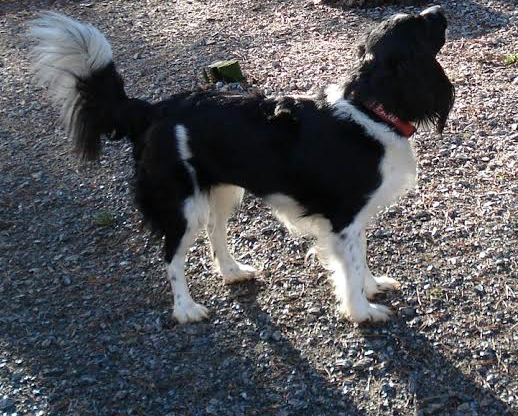 Original: "This girl has a full-sized Springer personality in a pint-sized body! " Penny came to MAESSR from a shelter in North Carolina. 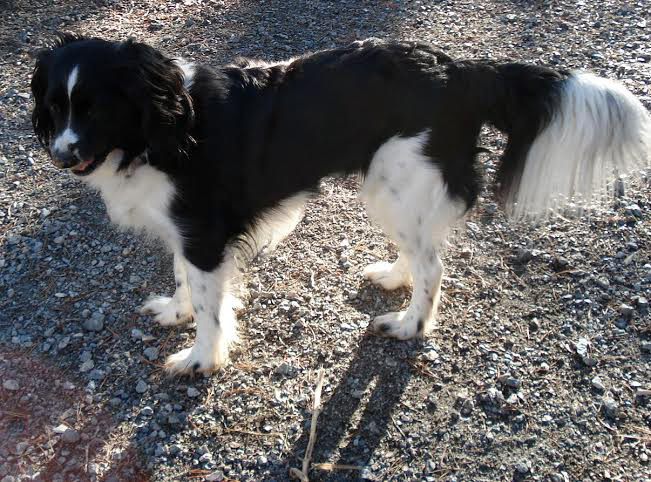 She had been turned in by her family because she kept escaping from their broken fence. 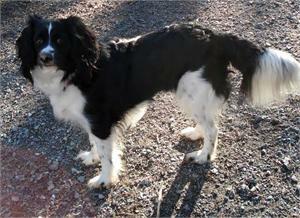 MAESSR agreed to take her even though she is a Springer mix because she just sounded like such a good little girl. Twenty pounds of playful love, Penny is very cuddly and loves to sleep right against her foster mom at night. She is also her foster mom’s shadow, following her EVERYWHERE and wanting to be involved in whatever she is doing. This girl has a full-sized Springer personality in a pint-sized body! Although a bit shy when first meeting new people, Penny is quickly learning that new people are fun and she gets lots of attention from them. A girl who seems to enjoy being on the go, Penny rides well in a car. Penny has done very well with all the other dogs in her foster home. She will occasionally antagonize one of the larger dogs, but it is all in fun. When her foster family is not home, Penny is given free roam of the house. She has not chewed anything inappropriate and she is too small to counter-surf. Although she is crate trained, she prefers to be out and about. Penny is heartworm positive. MAESSR is using the "slow kill" method of treatment since she had a light load of heartworms. 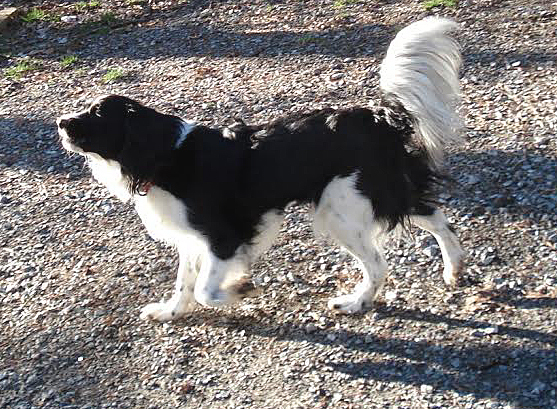 The “slow-kill” method involves giving the infected dog monthly Heartgard tabs over the course of a year. (Doxyclycline therapy is sometimes done as part of the treatment as well.) At the end of the year, the dog is re-tested for heartworms. MAESSR will supply the medication to the dog’s adoptive family and will pay for the follow-up vet visit and heartworm test. Although most dogs are heartworm-free after one year, MAESSR will pay for another year of treatment if the dog is still heartworm positive. 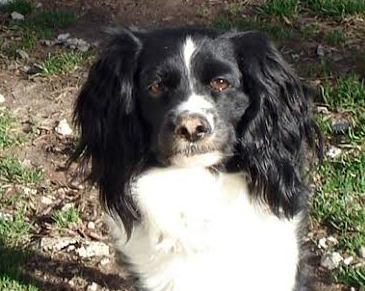 If you have been thinking you would like a smaller dog, but still wanted the great Springer personality, this is the girl for you.